Melt-in-your-mouth texture, deeply savory, complex. 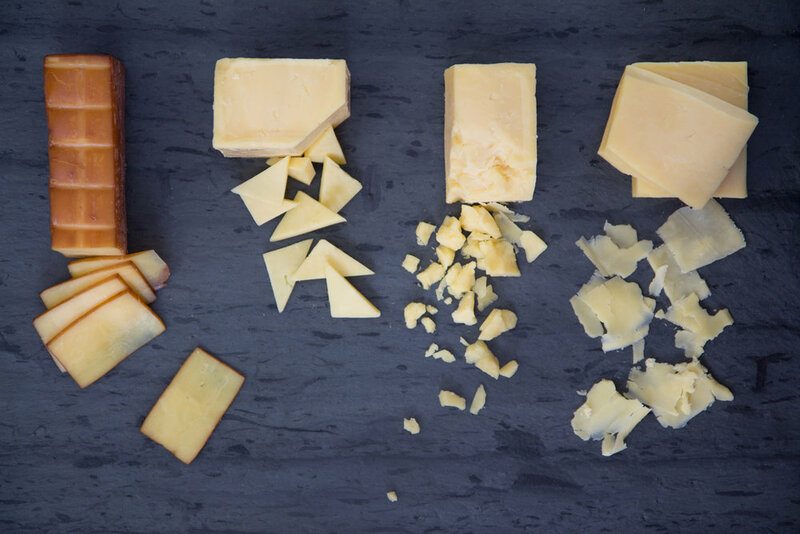 Young and versatile cheddar has a supple texture and delicate flavor ... like fresh cream and buttered toast. Perfect for breakfast with preserves or melted in your favorite dish. Young, traditionally smoked over hickory at New Skete Monastery. Shelburne Farms is a nonprofit organization educating for a sustainable future. That means learning that links knowledge, inquiry, and action to help students build a healthy future for their communities and the planet. Our home campus is a 1,400-acre working farm, forest, and National Historic Landmark. We care about the sustainability and quality of life on earth. We care about young people having hope for the future. We believe that sustainability is grounded in individual awareness and action in our own communities. 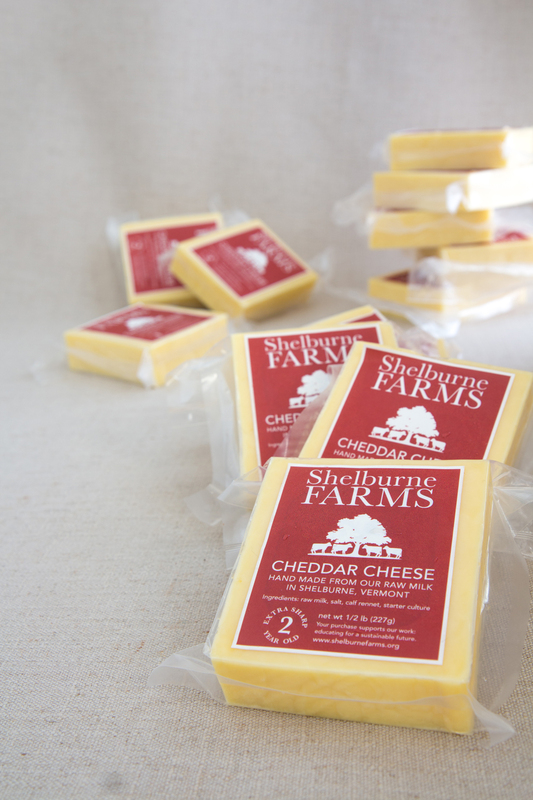 Since 1980, Shelburne has made an artisanal, Vermont farmhouse cheddar, using only the raw milk from their grass-based dairy herd of purebred Brown Swiss cows. 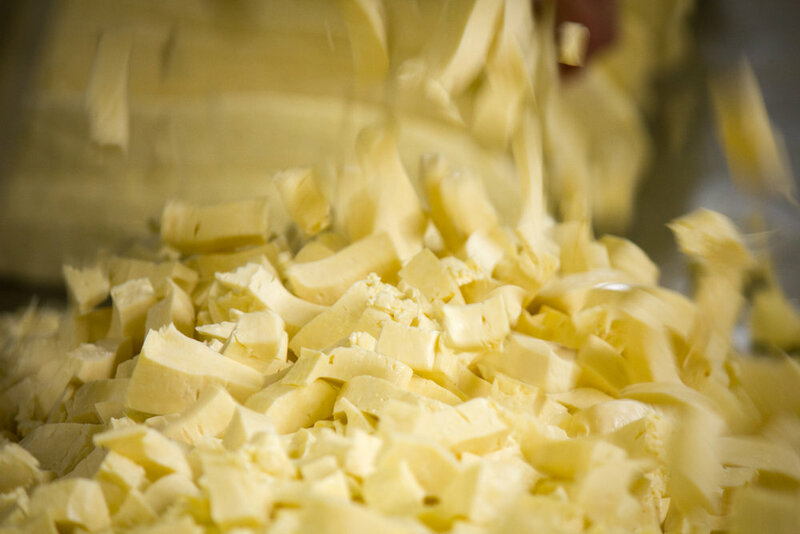 The dairy supplies high-quality, raw milk to make their farmhouse cheddar, while educating about sustainable farming and the working landscape. The Shelburne herd is pasture-raised and rotationally grazed from spring to fall. They grow hay and silage without crop herbicides, pesticides or chemical fertilizer. The Dairy is Certified Humane by the Humane Farm Animal Care (HFAC) organization in Herndon, VA.
Their milking parlor, constructed in 1995, is a double-12, mid-line swingover design. It allows virtually uninterrupted milking, with 12 cows lining up on each side of the pit. 120 milking cows. Each produces about 50 pounds of milk a day for 10 months a year. temperament. The cows are bred to calve all year, with most calving in the spring (March, April, May), and in September, October. Shelburne raises all of their heifers for milk, and some bulls for dairy beef and purebred breeding stock. Copyright © 2019 Forage & Foster. All rights reserved.